Being at the CARE4YOU conference…. Inspires me to keep going! Reminds me that I deserve to love my work. Taught me that I need to take care of myself too. Makes me think that I matter. Allowed me to ‘reset myself.’ Encouraged me to do more self-care. Inspires me to tend to myself. Thank you to everyone who joined us at CARE4YOU 2018 in Halifax, NS! We got to work alongside a diversity of wonderful professionals from across North America, including nurses, police officers, social workers, members of the military community, and many others. We had the pleasure of experiencing some true East Coast hospitality from our presenting sponsor IWK Health Centre. Special thanks to Holly Murphy and Prasanna Kariyawansa and the rest of the Trauma-Informed Care team for helping make it all happen! Even though the conference is over, let’s continue the conversation about self-care. Share your thoughts with us on Facebook, Instagram, Twitter and LinkedIN with #CARE4YOU. Thanks to MJ photographics for capturing these wonderful moments from the conference. Today, October 22nd, marks the 1-year anniversary of the tragic shootings at Parliament Hill in Ottawa, Ontario. As we honour and remember Cpl. Nathan Cirillo, we also pay tribute to the first responders, paramedics, police officers and Ottawa citizens that rushed to the scene. We recall a nation in mourning and the millions of Canadians shocked, saddened and scared by the traumatic scenes splashed across the media. How did this happen? What comes next? How will we cope? Following the shooting last year, Francoise wrote this piece entitled “Secondary Traumatic Stress and the Ottawa Shooting: What happens when we all go back to our regular lives?” Today seems like the perfect time to reflect and to think critically about secondary traumatic stress, and particularly the STS experienced by those directly and indirectly affected by this shooting. The article is available below in French & English. “Le stress traumatique secondaire et la fusillade d’Ottawa : Qu’arrive-­t-­il après notre retour à la vie de tous les jours? Maclean’s Magazine recently published an article on the coping strategies used by those first on the scene after Cpl. Nathan Cirillo was shot. Click here to read more. Tend Associate Diana Tikasz, MSW, RSW, has created WTF and Other Strategies to Keep You Grounded. It will be released this upcoming spring and sp Francoise caught up with Diana to ask her about the workshop, her inspiration and what participants could expect from this training. Q: What inspired you to develop this workshop? A: This workshop was developed out of my own personal struggles in my career as well as hearing from numerous workshop participants about similar struggles. As a trauma therapist in health care settings for the last 26 years, I have experienced numerous WTF moments. These moments tended to go one of two ways; 1. I would be hijacked by my emotions (usually fear or anxiety) or, 2. I would completely shut down by becoming forgetful, not hearing my clients or just feeling completely numb. When these moments turned into weeks, I noticed it was incredibly difficult to get through my work day or even engage fully with my family, friends or life in general. I questioned whether I needed to leave a career that I loved. It didn’t seem possible to me that I could do my work and also stay emotionally and physically well. Before taking the drastic step of career change I decided to try to learn to work differently. My training as a social worker taught me well the techniques to help others; it just didn’t train me on the necessity of applying these techniques to help myself. This I had to discover on my own. This workshop is a compilation of some theory but mainly techniques in how to weather the inevitable WTF moments and storms. It is about learning a process that will not only build our resilience, but also our personal growth and enjoyment in our careers. I have come to view doing helping work as a privilege (mostly) rather than a chore. Work is not a means to an end but meaningful in and of itself. We need to enjoy the journey and not just hang in there until retirement. This workshop is designed to give folks more time to reflect and learn tools that not only help them weather the WTF storms, but also allow them to navigate the ship to be able to enjoy the journey to its fullest. Q: What kind of skills or strategies will participants gain from attending this workshop? A: Participants will learn a framework that will help them to continuously self-monitor. This framework is grounded in neuro-science and will guide us so that we maintain our own emotional well- being. It’s a framework that guides us to work within our optimal zone and fosters our ability to bounce back quickly after a WTF moment takes us out of that zone. In this zone we feel calm yet energized, healthy and creative in our work. The majority of the day will be spent learning and practising various strategies in a detailed way that helps us keep perspective, stay connected and present. 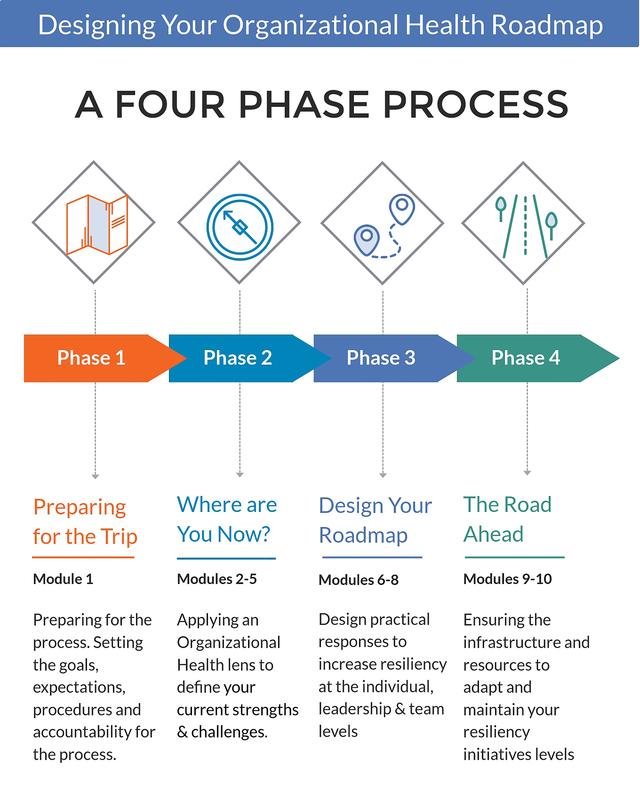 These strategies include: learning how to quickly tap into our own personal resources as well as develop new ones; utilize tools that that help us self-regulate and recover; methods for gaining and maintaining perspective; skills in being fully present, aware and connected to our compassion. These techniques will encompass the whole self as I find we can often retreat and get stuck in our heads. An emphasis will be on learning and incorporating strategies that change the way we work as opposed to using all our personal time to replenish what our work takes out of us. Q: Who would most benefit from this workshop? A: Those who would benefit are any folks in a helping profession that feel they are often overly stressed or hijacked by emotion, or those who are no longer enjoying their work and wondering whether they need to make a career change. Helpers who wish to learn specific skills that they can utilize to protect themselves in difficult situations whether it is working with those challenging clients, sitting in a difficult team meeting or interacting with a colleague who pushes your buttons. It is also for those who find that at times their personal lives are creating the WTF moments, which makes it extremely difficult to be present at work. I often say that helping work is even more difficult when the professional is going through their own personal stresses. Again, we will focus on providing a framework and resources to help us navigate the storm. This workshop is especially for those who are feeling completely detached from what they are doing, feeling as though they are just “going through the motions” or counting down the days to retirement. Working in health care has become more complex in the past decade: a rapidly ageing population, decrease in resources, increased workload from a perfect recipe for overload, burnout and compassion fatigue. In this plenary presentation, 3 nurses join forces to share their combined 50+ years of experience in caring for patients and discuss what they have learned about the importance of caring for each other. Jennifer Juneau has been a Registered Nurse for 18 years with combined experience in the Operating Room, fertility and women’s health. She recently became a Solution Focused Life Coach and specializes in fertility coaching and health and wellness coaching. Karen Mayer is a Registered Nurse with 30 years of healthcare experience in both hospital (Chronic Care, Maternity and ER) and was co-owner of a private, thriving home care business for seven years. She returned to school twelve years ago to obtain BEd and MAEd and has been teaching Personal Support Workers (PSWs) at Loyola School of Adult and Continuing Education for the past ten years. As a twelve year member of the Ontario Association of Adult and Continuing Education School Board Administrators (CESBA), she has been Chair of the PSW committee for the past three years. Having experienced Compassion Fatigue, Karen developed a bucket list. Multi-tasker that she is, she knocked off two items from her bucket list, working in a mission and working with Patch Adams by completing a mission trip to Guatemala with Patch Adams. Romney Pierog has been a frontline Registered Nurse for 15 years with over 11 years in critical care experience. She currently works at Kingston General Hospital. She also has a degree in English literature and psychology from Carleton University. Romney is currently working on a project where she has been interviewing frontline staff, management and patients on morale and satisfaction. She is looking at improving morale by improving communication and by recognizing the obstacles posed by stress, compassion fatigue and burnout. Can we help prevent a new cycle of violence in Syria and the Middle East? I don’t know if you had a chance to read Mark MacKinnon‘s very disturbing account of the current fate of Syria’s displaced children in Saturday’s Globe and Mail (“Why Young Syrian Refugees Will Haunt the Middle East for Decades to Come” Sept 14, 2013), and if you are affected by traumatic details, you may not want to as it is quite graphic. One of the refugee camps, the Zaatari camp in Jordan, is currently housing over 130 000 displaced Syrians in one sun-scorched site. That’s more people than the entire city of Kingston, where I live. Over 50% of those refugees are under 18, and they are struggling with post traumatic stress, and meagre resources. Many of them are acting aggressively towards each other and adults, and have few resources to cope with the unspeakable violence they have seen and experienced in their short lives. Despite the best efforts of a badly underfunded Unicef, only a third of the 180,000 school-age Syrians living in Jordan (the total refugee population is 600,000) were in classes this week as the new semester began. Similar statistics apply to the broader population of Syrian refugees throughout the Middle East. Unicef relies heavily on the private sector, which covers about 40 per cent of the cost of schools and sanitation centres it runs in crisis areas. But with Syria’s refugees, private donors appear reluctant, thus far making a mere 6 per cent of contributions to Unicef’s region-wide appeal. So just over half of the $470-million being sought for Syrian refugee children this year has been raised. Aid workers suspect donors view Syria, unfairly, as a political problem, rather than a humanitarian one. As a result, UNICEF classrooms have only 14,000 spots for Zaatari’s 30,000 school-age kids. (Another 30,000-plus kids are under 6, with 10 newborns arriving every day in the camp’s hard-pressed hospitals.) And the learning environment is far from ideal. School No. 2 is a collection of 70 portable classes surrounded by a chain-link fence topped with barbed wire. There’s no electricity, so no fans or air-conditioning in the blazing desert sun, and water reaches the toilets and sinks only sporadically. Please consider donating to Unicef for this important cause.